The documents etc below relate to Gowllands whom it has not been possible, so far, to link to the main Tree, and who may in fact have no connection. As usual, click on any image below for an enlarged (and therefore more legible) copy. In Stephen Gowlland's letter of 28th May 1942 to Geoff Gowlland he writes: "I have my eye on a Thomas G who lived in Canterbury about the period of Richard S G and Stephen G who was our grandfather's grandfather. He might be a brother to them; and, once the war is over and the records at Canterbury are available, I had already made up my mind to look him up. I think he was a Freeman. He is described as a "Grazier", and on another occasion as a "Tinman" or "Tinsmith". I think he lived quite close to R S G". Our Thomas (1749 - 1814) was a Carpenter, of course, and progression from there to Tinsmith/Grazier is unlikely, as is his having prospered sufficiently to become a Freeeman. Clearly Stephen in 1942 thought there might be a connection. Present indications are that he was wrong, and this Thomas was a one-L Gowland with no link to us]. 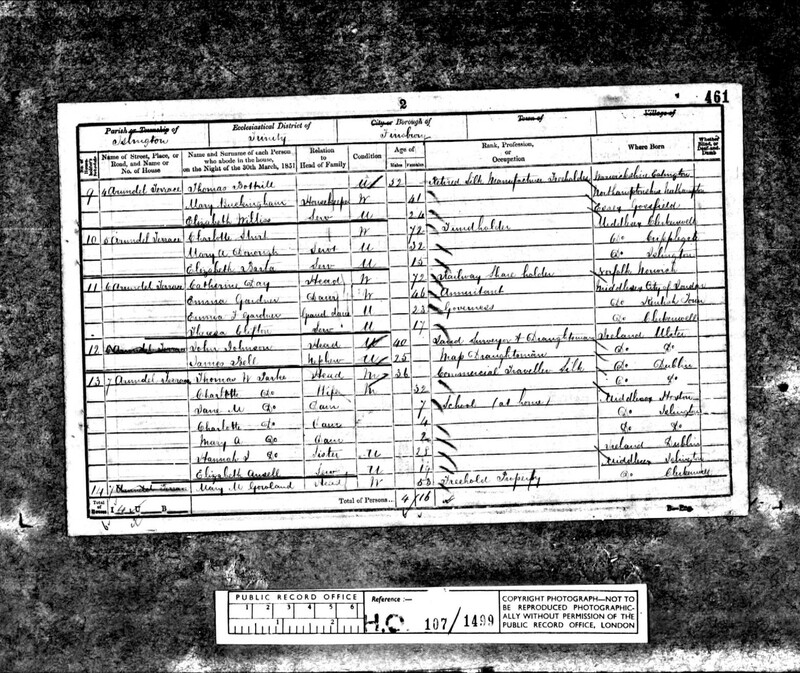 The certificate indicates that Richard's birth occurred on 28th December 1839 at 12:30 AM, in the parish of St Gregory. His father is named as Henry Gowlland (of whom we have at present no trace). 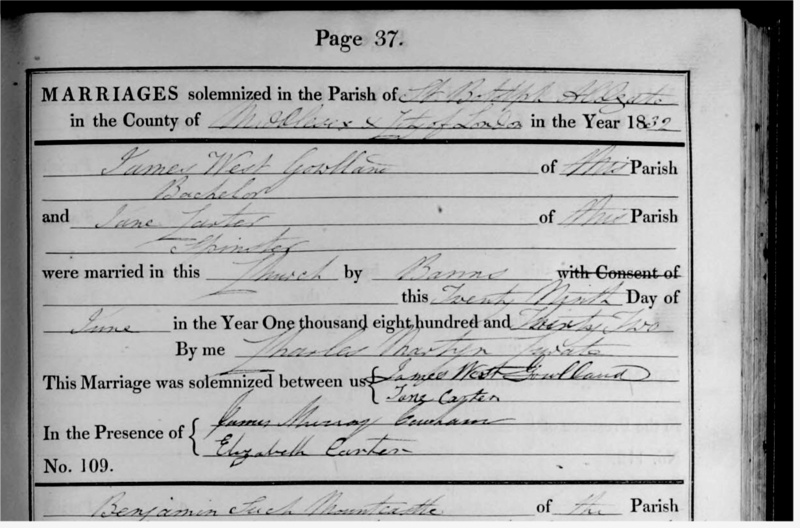 His mother is named as "Elizabeth Gowlland [crossed out] Mackleder, [note this is spelt "Mackelder" in the GRO Canterbury records for the first quarter of 1840] , formerly Stains". Henry's occupation is described as "Labourer"; and he was himself the informant, on the day after the birth. The birth occurred in the sub-district of Chislet. Chislet is a very small village (perhaps more accurately described as a hamlet) roughly mid-way between Canterbury and Margate, just to the north off the A28 road. In 2016 we found a reference (click here) to Henry Gowlland in the Kent Assizes records of 1831 - the twelfth entry.. It is very difficult to read but appears to show he was arraigned on two charges, for which he received sentences of six and two months. In late May 2006 the marriage certificate in St Mary Northgate, Canterbury dated 17th February 1840, was obtained - click here. 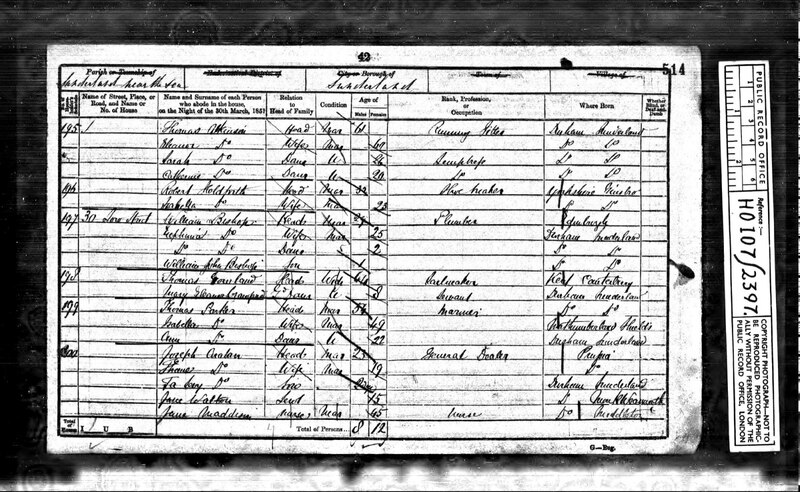 Note that Henry Gowland is spelt with one L, as is William, his shoemaking father, and Henry' signature also has only one L.
An 1841 census entry (here) which we think refers to Henry and Elizabeth also spells the surname with only one L.
We also have a death certificate in Poplar dated 18th May 1868 for Henry Gowland, aged 63, labourer - again, only one L. - click here; and we also have one in Minster, Thanet, Kent (The Union Workhouse) for Elizabeth Gowland, aged 60, wife of Henry Gowland, a dock labourer. 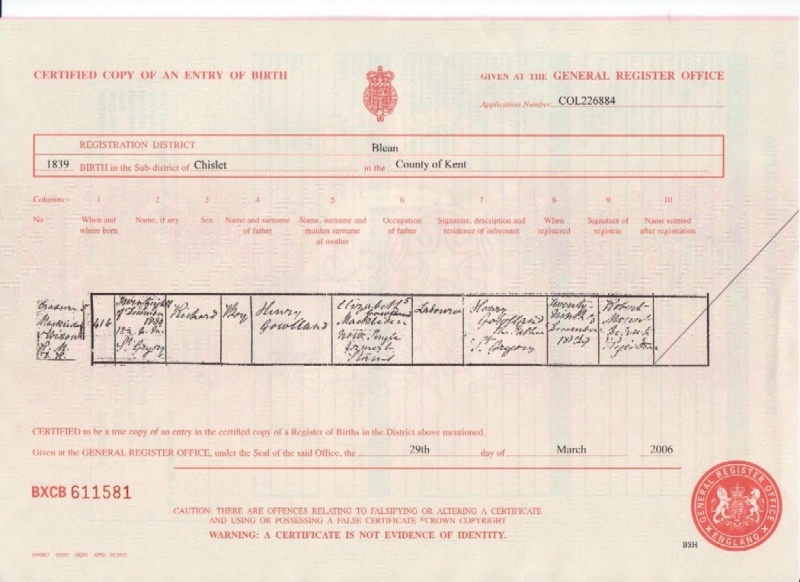 So at present it is looking as if this 1839 birth certificate in the name of Gowlland may in fact have nothing with to do with our two-L Gowllands. In 2010 a record appeared (click here) for the conviction of a Henry Gowlland at Canterbury Assizes on two counts of larceny, for which he received sentences of six and two months. His name is one of several which are endorsed "April Gaol Delivery for Dover". It is possible that this record applies to the Henry Gowlland described above. From "Pallot's Marriage Index for England: 1780 - 1837" comes this marriage certificate. It shows the marriage in 1832 at St Botolph Without, Aldgate, London, of Jane Gowlland, s[pinster] to Sam[ue]l Cox, b[achelor]. If the "28" is Jane's age, it gives a birth date of about 1804. No such Jane is known. A death certificate for 1885 of an 81-year old Jane gave grounds for optimism but the husband's name is wrong, unfortunately. And in the 1851 census there is an entry for a Jane Cox, living at 38 Smith Street, Chelsea, together with Caroline Low (18, unmarried, servant), John Garman (62, widower, lodger, retired surgeon RN) and Charles Gloist ?? (26, unmarried, lodger, solicitor's articled clerk) - but no trace of Samuel. Jane's personal details are shown as age 47 (which ties up with a birth year of 1804), status "wife - married", no occupation, born in Harrow, Middlesex. There is of course no certainty that either of these is Jane née Gowlland. Samuel Coxes are equally elusive. There is a Samuel Cox in the 1841 census living at the 2nd Battalion Scots Fusiliers' Barracks, St George's district, Charing Cross, "age 40 - occupation soldier, not born in Middlesex". But, until more information comes to light, one is clutching at straws. Thomas (1778), son of Thomas (1749), Joseph's fourth son, and Hannah née Bayford - a third child of this marriage has just turned up. But James West Gowlland's presence at the April 1832 wedding as a witness, just a few months before his own wedding in June 1832, implies a relationship closer than we had thought. 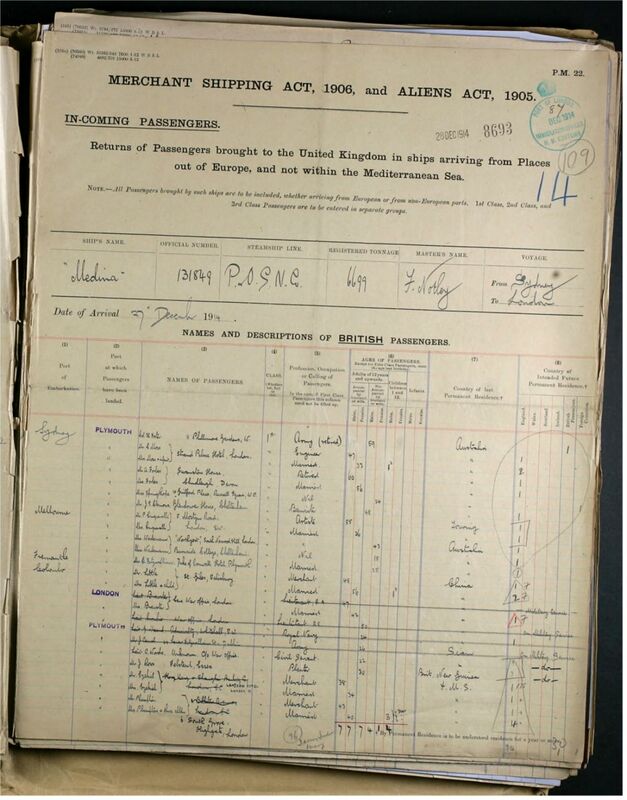 This marriage certificate is the only certain information we possess: if the census return is indeed for her, then we have a Harrow, Middlesex birth place to contend with. In early 2015 a new theory appeared.. All we have is this 1832 wedding to Samuel Cox. and the unexpected presence of James West Gowlland as a witness. We may conjecture that the bride, Jane Gowlland, was formerly Jane West, his mother. She married Steven in 1799: we know he was born in 1775, but we don't know when he died. If he died before 1832, then Jane would have been Jane Gowlland, and certainly she didn't die until 1843. If she were remarrying, what could be more normal than a 30-year old son acting as one of the witnesses? 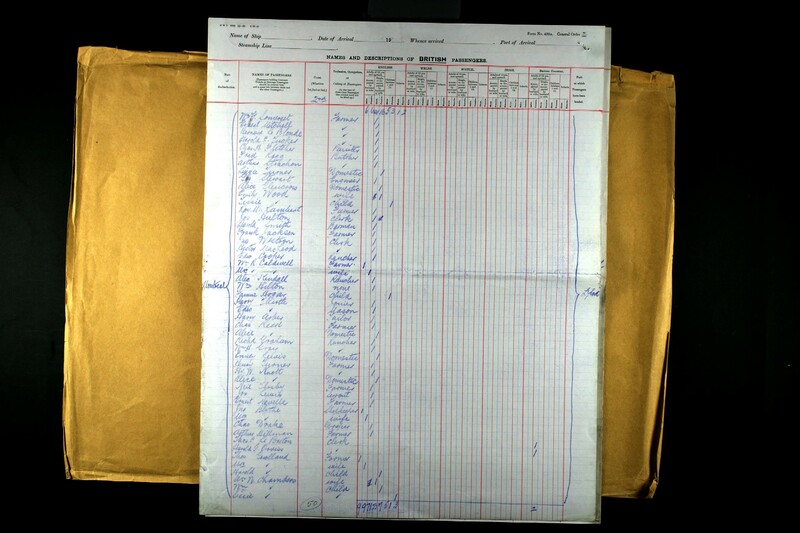 This still leaves the "28" and "s" on the marriage entry, but the former, at least, could refer to a page number, and the latter could simply have been a mistake. Of course, this is still only a theory. We have now obtained a burial certificate (click here), in the name of Ann Gowlland, from the "Register of Burials at Wycliffe Independent Chapel at Philpott Street on Commercial Road in the Parish of Whitechapel, London, from 1806 to 1808". Beyond giving the location of the grave, and the cost (four shillings and sixpence), there is no more information. (a) Ann née Norris (b c1740) and wife to George (b 1740) - in other words, her age at death would have been about sixty-eight; . (b) A hitherto unknown daughter of Thomas (b 1749) - for whom we have just located a previously unknown daughter (and third child) named Hannah (see above), born 1783. (c) Any of the grandchildren of three of Joseph and Susannah's sons, namely George (b 1740), Joseph (b 1744) or Thomas (b 1749) - we believe we know the full details of the descendants of Stephen (b 1747) and there is no missing "Ann Gowlland". (d) The wife of Joseph Theophilus Gowland (see below) - until June 2009 we had believed that he was not in our direct line but, knowing now that in the mid-18th century he lived in Buckland-by-Dover and St Mary's Dover, both associated with Joseph Gowlland's family, we are not so sure. And we know that his wife was called Ann. Their child was born (in Dover) in 1775, which implied that Ann was born around 1750, which would make her age at death be about fifty-eight. So she is also a possibility. And of course it is more than possible that the Ann Gowlland is at present unknown to us. Indeed, she may be a one-L Gowland, whose burial register was misspelt; and thus not in our line at all. A remarkable number of the Gowllands in the 1851 census are spelt with only one L, and it seemed interesting therefore to look at those one-L Gowlands listed who do not appear to fit into our Tree, but where a tenuous link seems possible - whether it be the name(s), the location, the place of birth or the occupation, or any combination of these. It must be stressed that direct connections are very improbable, but not impossible. 1. 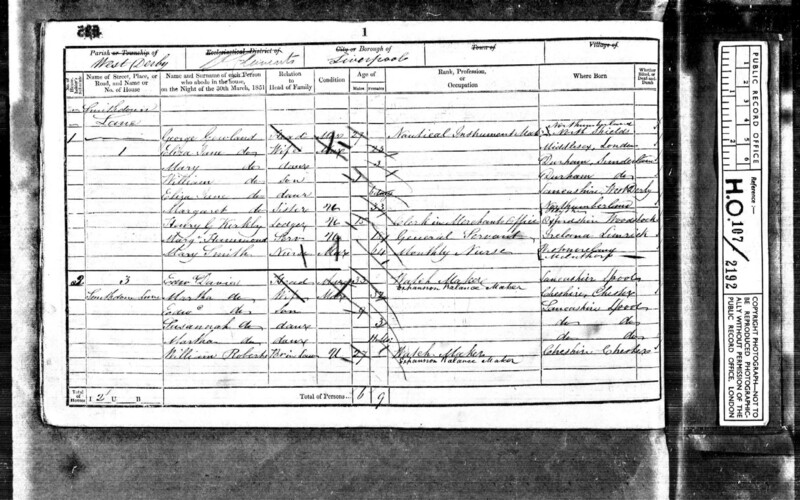 George Gowland (click here) - "West Derby, Liverpool - Head - 27 - nautical instrument maker - born Northumberland", with wife Eliza Jane (23 - born London), and children Mary (3 - born Durham), William (1 - born Durham) and Elizabeth (6 days - born West Derby), and also Margaret (sister - unmarried - 33 - born Northumberland). [It is the occupation that is the most suspicious here]. 4 F Gowland (click here) - "Tower Hamlets, Hackney - Visitor - 24 - Printers' Foreman - born Islington" [Probably no connection]. 6 Thomas Gowland (click here) - "Sunderland near the Sea - Head - ? age ? - Sailmaker - born Canterbury, Kent". The National Archives summary shows the age as forty-four but, although the writing is very unclear, I think it is sixty-four, not least because he is living with only his 8-year old grand-daughter and were he only 44 it would mean that both he and his daughter would have become parents at the age of 17/18. Regrettably the grand-daughter's surname is not clear - perhaps Mary Eleanor Crawford. [Obviously, it is the place of birth that is the most suspicious. Also we should remember that Charles Gowlland (c1827 - 1894) was a sail-maker]. However, we know there were one-L Gowlands in Canterbury, and he could well be one of them. 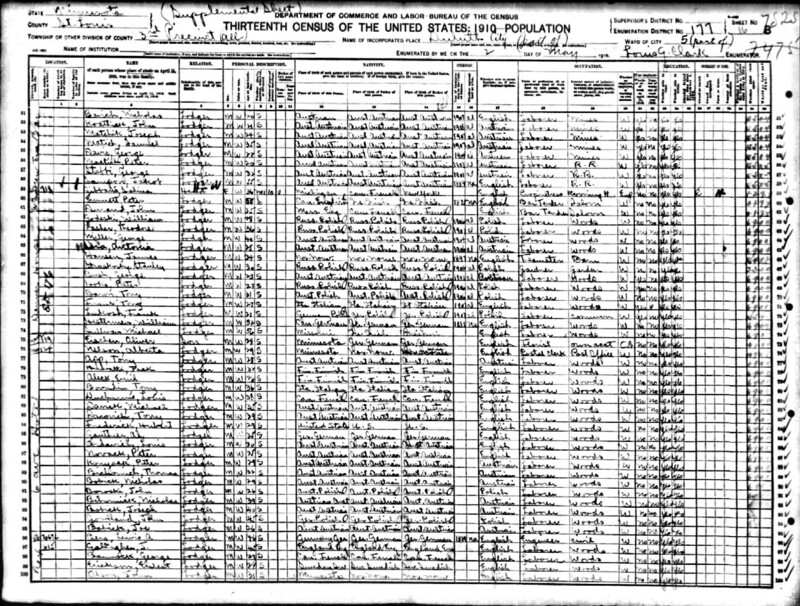 6 John Gowlland - Minnesota - ?Polish origin? 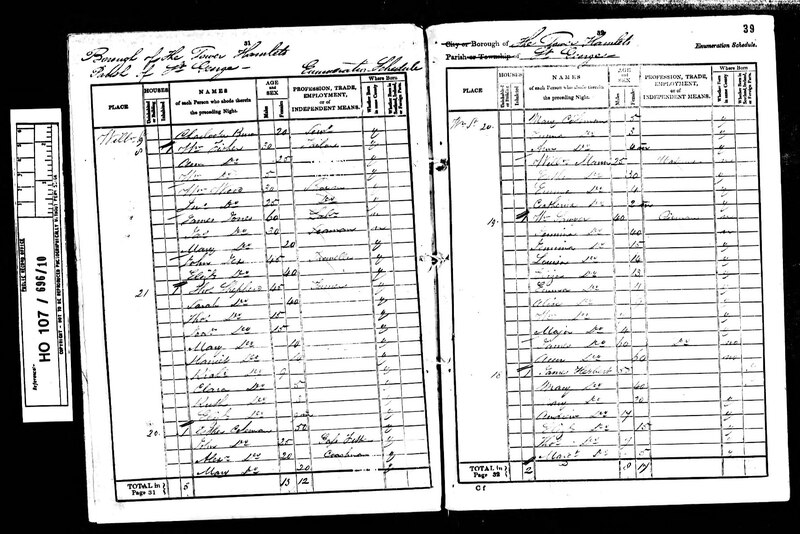 A very strange entry in the Thirteenth US Census (click here) for Duluth Ward, St Louis, Minnesota. It will be seen that the area of the town evidently comprises a large number of Rooming Houses (pages both before and after this entry show dozens of them). Near the bottom of the page, in the house owned by Salina Gibbons, is "John Gowlland - age 45 - Lodger - Born Ger(many) Polish - Father born Ger(many) Polish - Mother born Ger(many) Polish - single - white - male - language spoken Polish - occupation Labourer in woods". As he apparently speaks only Polish, the most likely explanation is that a misspelling occurred with his surname. Certainly he appears in no other US census. Biba, John's wife, who is of Polish extraction herself, offers a different suggestion. Many immigrants passing through Ellis Island were ascribed an English name, both first name and surname, in order to assist their integration. Possibly this was what had happened on this occasion. 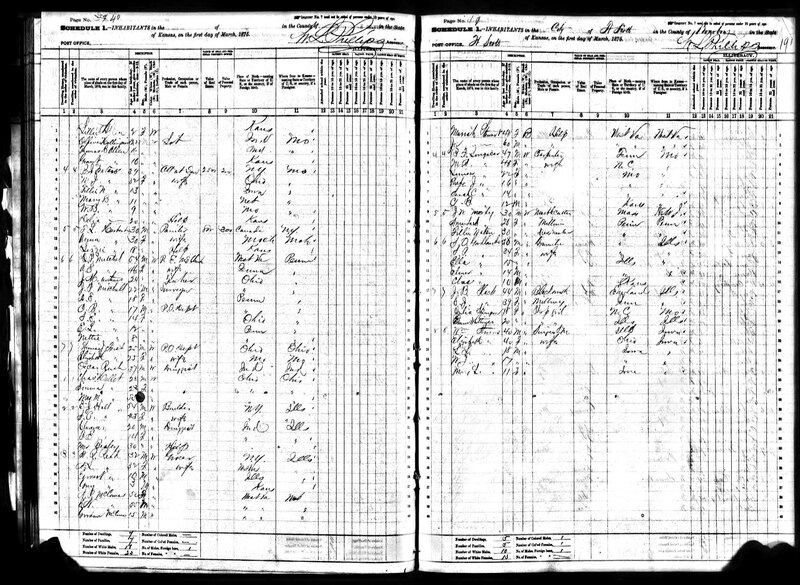 In the 1875 Census for Kansas there is a peculiar entry (click here) covering S O Gowlland (38), his wife S P Gowlland (34), and three children Ella (15), Elmer (14) and Cha[rle]s (10). The transcription clearly shows "Gowlland"; but the enumerator's handwriting is so erratic that it might be "Golland" or other variants. Certainly there seem to be no other records for this family. In the Canterbury Marriage and Banns Index (KFHS publication no. 1839 - fiche) there is mentioned of a marriage on 24th February 1760 of Thomas Gowland (?) and Elizabeth Wiltshier, in the parish of St George. The "Gowland" is also listed under "Goland". Until the original entry has been seen, it is difficult to know whether this record belongs to our family. Several Wiltshiers appear in the 1841 census in the parish of St Mary Bredin. The I.G.I has a record of a marriage on 17th October 1836 in St Leonards, Shoreditch (London) between Ann Gowlland and William Fisher. We had hoped to locate the 1836 marriage certificate, in the hope that it may provide more information; and in October 2009 this was achieved - click here. Regrettably, it told us nothing new, save that (a) both Ann and William were "of full age", (b) both parties were resident in the parish of St Leonard's, and (c) one witness bore the memorable name of Elizabeth Churchyard (the other was named Geo Yarrow and, as he appeared on more than half the marriage records of that time, must have been an official of the church, perhaps the sexton or a churchwarden. .
Making the very big assumption that Ann was aged about twenty at the time of her marriage, this would imply a birth year of about 1816: there is no known Ann Gowlland born around that time. Her birth around 1816 might imply her father's birth between 1775 and 1795. We believe we know most of the Gowlland births around that time; but it should be noted that we know nothing, apart from his 1778 birth, of Thomas Gowlland, second son of Thomas Gowlland (1749 - 1814). We know of the 1802 death in Canterbury of "Mrs Gowlland, wife of Thomas Gowlland", about which we do not know whether the Mr Gowlland was Thomas (b 1749) the father or Thomas (b 1778) the son. If the former, Thomas the son is a possible father of this Ann. In the 1851 census (here) there is an entry, in the parish of St George in the East, for a William and Ann Fisher, aged respectively forty-two and thirty-seven, with four children - William (11), George Shack (7), Ann (5) and Jane Galland [sic] aged seven months. There may be some doubt over the transcription of "Galland": it could also be "Gulland" or "Golland". 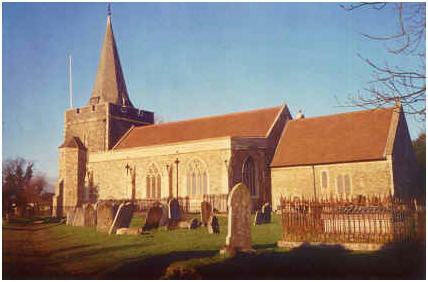 The church of St George in the East is about 1.1/4 miles from that of St Leonards. William's occupation is shown as "tailor". 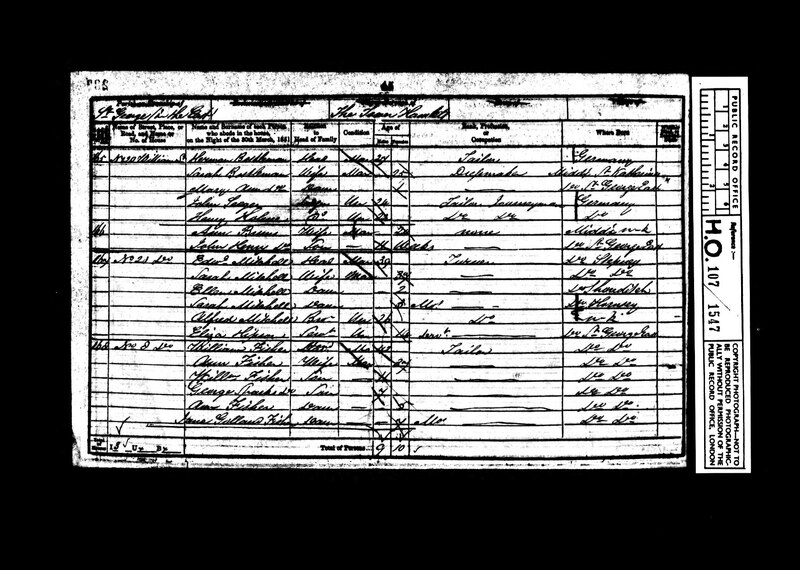 In the 1841 census there is an entry (here), also in the parish of St George in the East, for William (30 - tailor), Ann (25) and William (5). There are two other possible entries in this census, but less convincing - they have not been published, but the relevant files may be emailed to anyone interested. 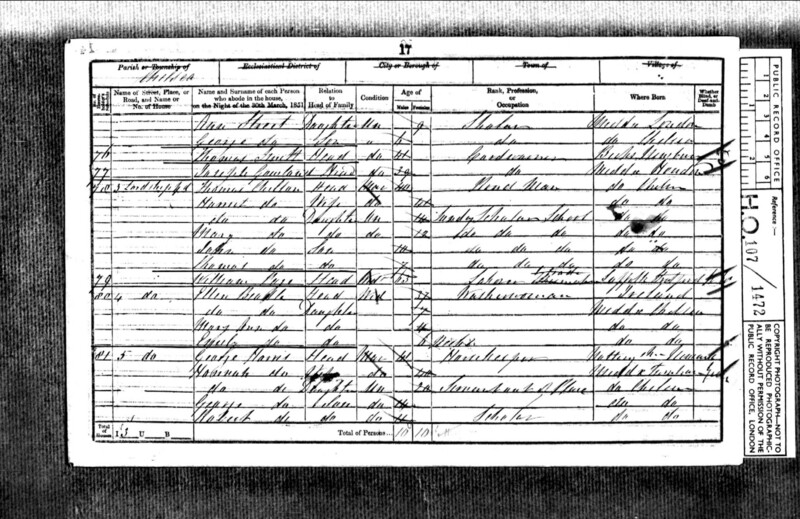 In the 1851 Scotland Census there is an entry in Bothie, [evidently not a prosperous individual], Creich, Parbroath, Fife for a William Gowlland, aged 23, "born about 1828 - servant - born Kemback, Fifesh - farm labourer". On present evidence, he is nothing to do with us, and the second "L" signifies nothing. Ancestry notes the following against all Scotland census entries - "Unfortunately, we are unable to display the accompanying images of this census at present, despite extensive negotiation with the General Register Office for Scotland. Permission from them has not, as yet, been forthcoming. 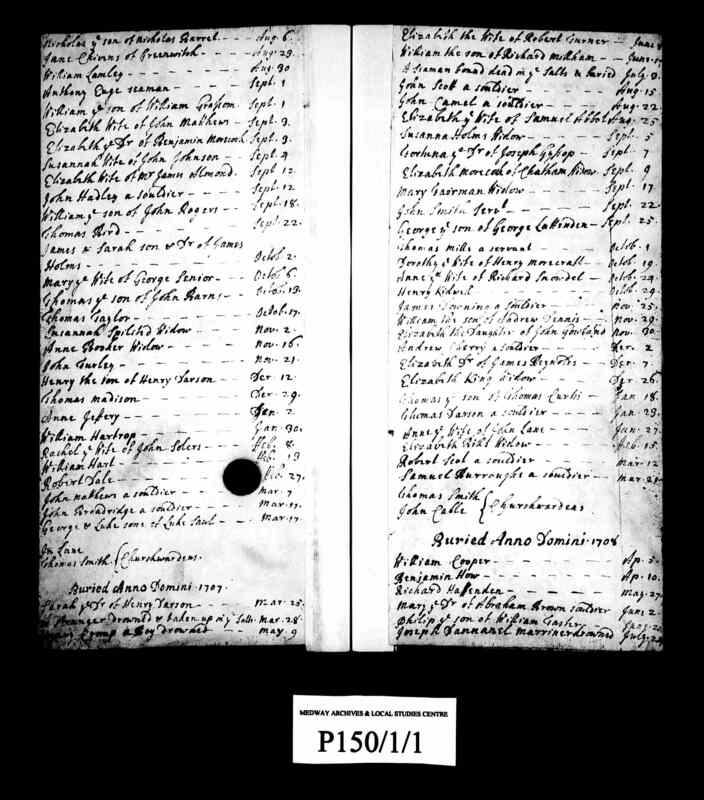 For this reason, and to enable you to continue with your family history research, Ancestry has heavily transcribed the Scottish Census records to ensure you have access to all key areas of information contained within this collection." Thus it is impossible to find out more about the second "L". There is a William Gowlland born in Middlesex in 1826, the oldest child of George Castle Gowlland and Elizabeth Welch; but we have no reason to believe the two are the same. This is, incidentally, the only Gowlland entry in any of the Scotland censuses, save for Geoffrey Cathcart Gowlland's entry whilst he was a boarder at Fettes. This 1909 arrival (here) was transcribed as "Gowlland"; but it could equally be "Golland". We know of no such family. This 1914 arrival (here) is a puzzle. None of the known Royal Navy family members was born around 1890. Indeed, the only such birth was of Edgar Blackburn Gowlland and he was born in Massachusetts, USA, where he registered for military service. The lieutenant embarked in Freemantle in Australia, and disembarked at Plymouth. He was one of four service personnel on the voyage. His address is given as "c/o Admiralty", his age as twenty-four, and his "country of last residence" as China. 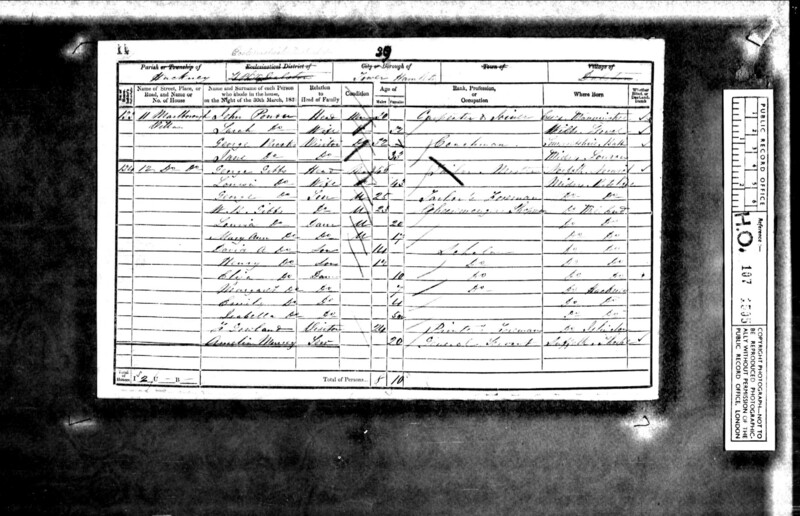 We have a 1908 entry (here) for Henry (46 - farmer), wife Elizabeth (36) and child Isabella (2), arriving from Nova Scotia, Canada. The spelling is quite clear. However, there is also a "farmer" entry for 1903 (here), and a doubtful entry for 1909 (here), both of which had been tentatively added to the biography of Henry Orford Gowlland. The position is unclear. 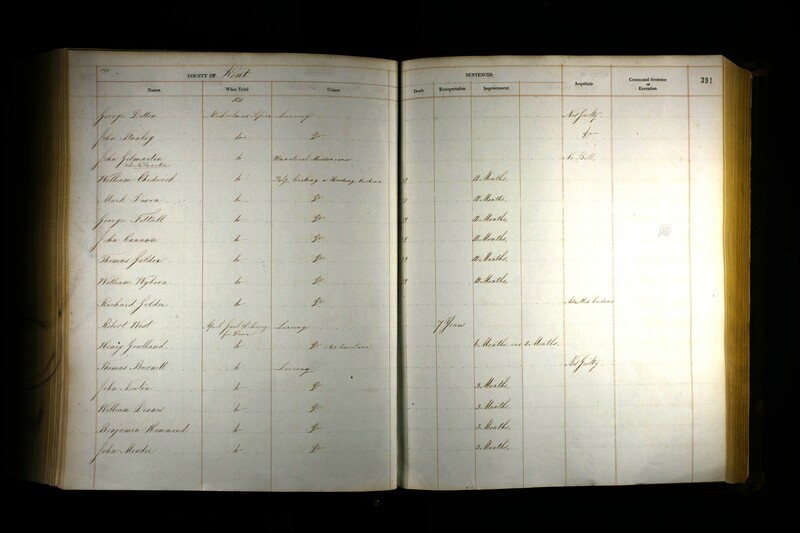 From the Victoria State Archives is an outward passenger record (here) for 1861 on the SS "City of Hobart", leaving Melbourne, destination Hobart, for "Margt Gowlland" aged twenty-three. This implies a birth year of about 1838. We know of no Margaret Gowlland born around that time. 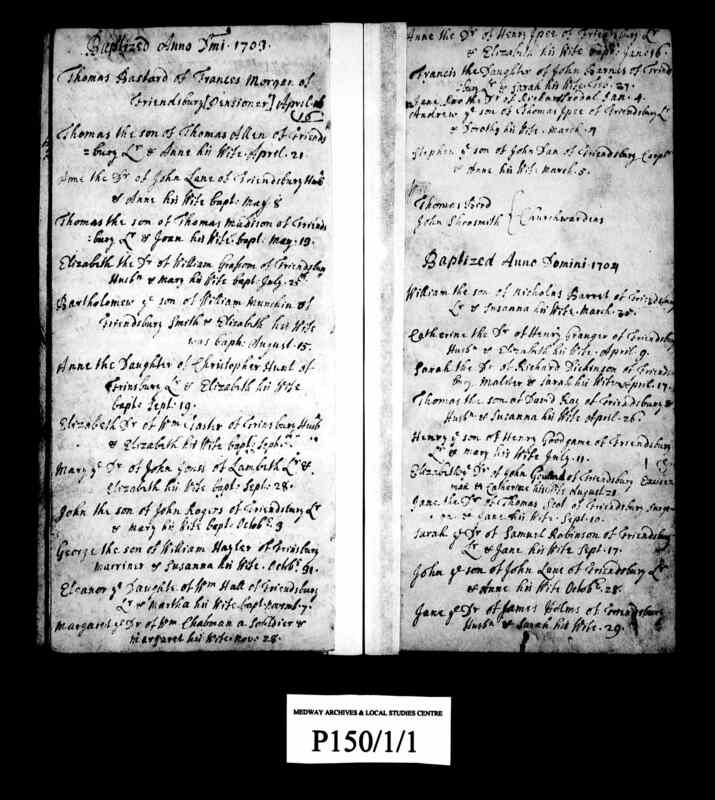 The birth record of 1775 (click here) from St Mary the Virgin, Dover, shows father and son both named Joseph Theophilus (a name unknown elsewhere in the Gowlland family) and a one-L spelling for Gowland. 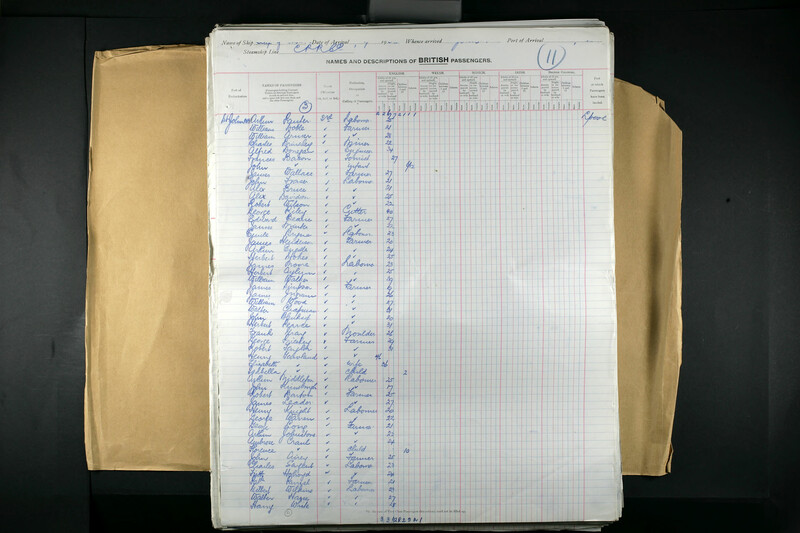 We had known of this birth record for some time but until June 2009 we had believed that he was not in our direct line. However, a Settlement Certificate IN (here - the second of those below) issued in his name in 1774 and examined in March 2010 confirms his residency in St Mary's, Dover, having moved from Buckland-by-Dover, both locations associated with Joseph Gowlland's family; and in consequence we are now less sure about his not being of our line. OUT Joseph [Theophilus - crossed out - see below] Gowland, Settlement Examination - at Buckland, settled St Mary, Dover 1774 Aug 19. 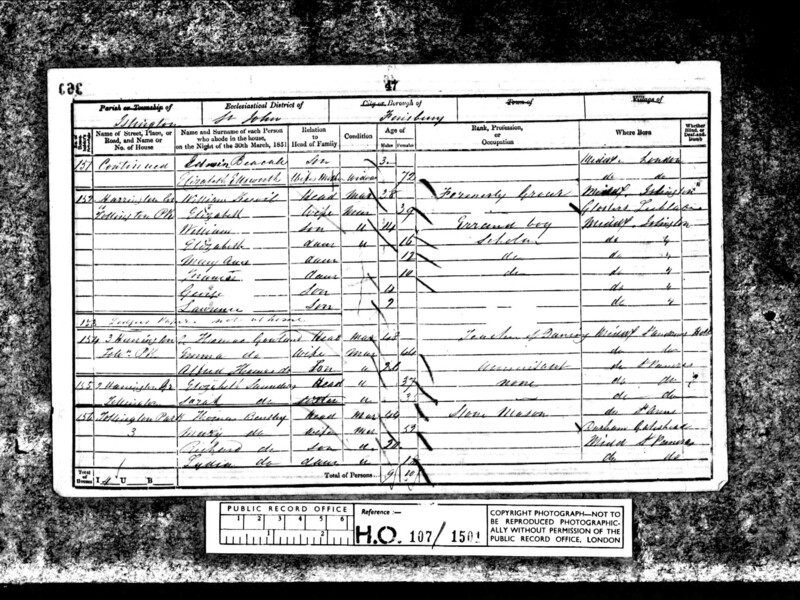 IN Joseph Gowland, and his wife and two children [names not given]. Settlement Certificate - from Buckland to St Mary, Dover. 1774 Dec 6. The crossing out of "Theophilus" on the original document is very interesting. A single hand has written at a single time the words "Theophilus Gowland, Settlement Examination - at Buckland, settled St Mary, Dover 1774 August 19"; and then, at a later time, the same hand has crossed through "Theophilus" and written "Joseph" on the line above the crossing-out, with an arrow directing the reader to place "Joseph" before "Gowland". And it is also possible that the 1808 burial (above) of Ann Gowlland [Joseph Theophilus Snr's wife is named as "Ann" on Joseph Theophilus Jnr's birth record] relates to them. No more definite information exists at this time. At one point we wondered whether he could conceivably be Joseph Gowland (1744 - 1796), the seventh child of Joseph and Susannah. He would need to have had an additional child of whom we knew nothing (so that he had two dependant children for the settlement certificate in 1774, the first being Ann born October 1770). But the wife's name and the location looked right. 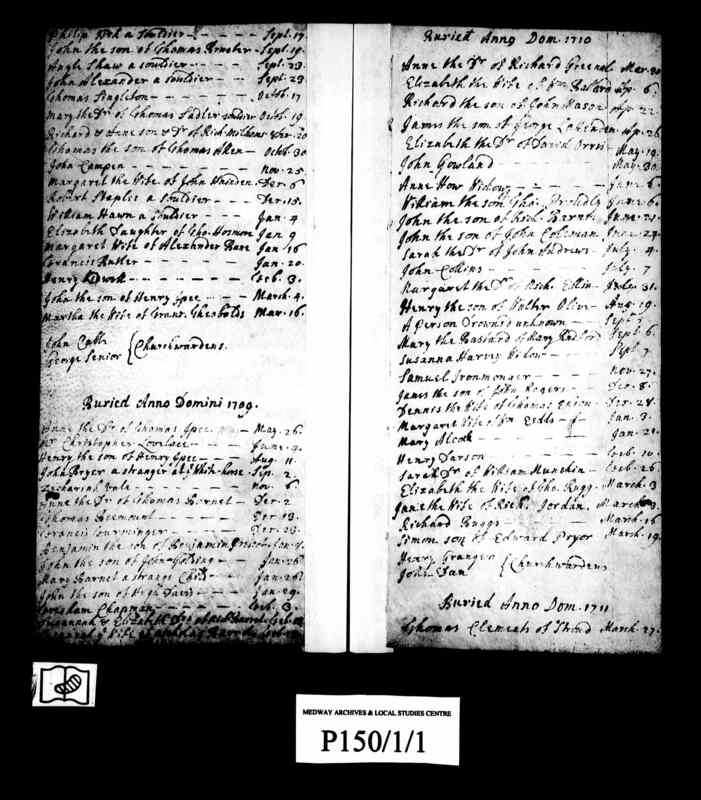 Regrettably, the two 1775 birth certificates of Sarah Gowlland (daughter of Joseph and Ann Gowlland - here) and Joseph Theophilus Gowland (daughter of Joseph Theophilus and Ann Gowland - here) are written by the same hand and separated by only three months, and thus the two Josephs are certainly different people. 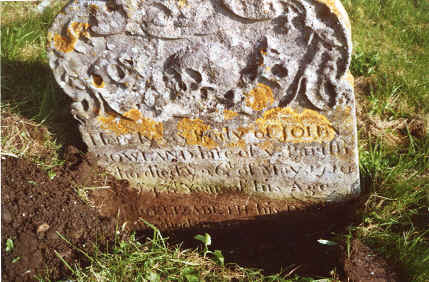 Also the 1808 burial could not be Joseph's wife Ann - she died in 1823. More research needed, clearly. Firstly, there is a record of the birth in Eastbourne, Sussex, of Katherine Heriot on 30th December 1675. Secondly, Chilham is a parish about seven miles west of Canterbury and twenty miles south-east of Rochester. We know of Chilham since it was the residence shown in the 1734 Poll Book for John Sutton, presumed to be the John Sutton who was Joseph Gowlland's apprentice-master in Hougham in 1728. It was also the place of marriage of a Mary Gowland who married Andrew Clifford in 1717, and whose two children were baptised there in 1718 and 1720 - so far, let it be said, we have not established any link to our family. - We are certain that this Rochester-born John Gowland b 1702 is the same fatherless John Gowland who was apprenticed in 1716 (apprenticeships usually began at age fourteen) to Henry Thornton of Rochester, clockmaker (here) - and we find this particularly interesting as the Thorntons and the Gowl(l)ands were friends over several generations, being fellow-Baptists and also, for example, Josiah Gowlland's birth in 1781 having been witnessed by Mary Thornton (and he went on to marry Peggy Thornton in 1807). 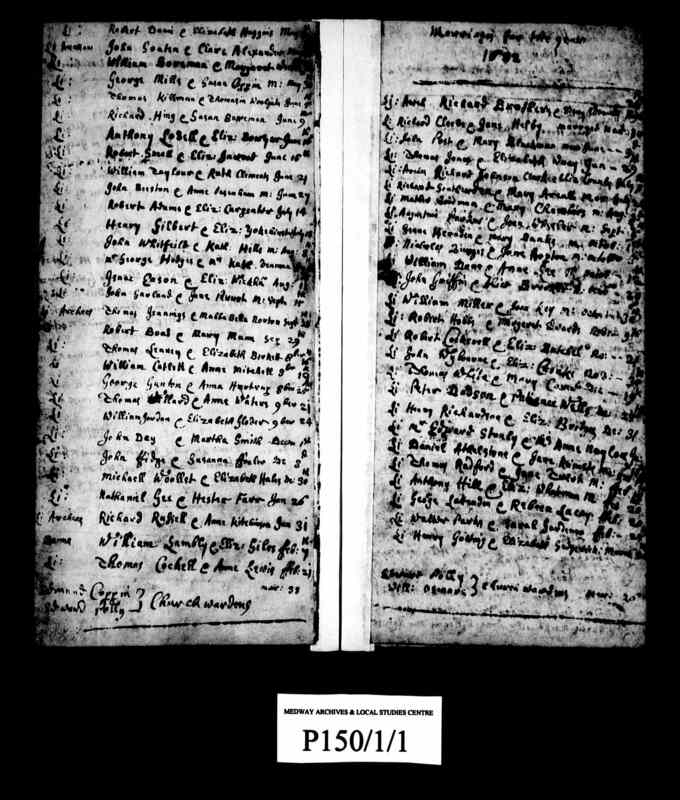 Regarding the 1716 apprenticeship deed, incidentally, the precise wording is "John, son of John Gowland of Rochester, Gent, dec.": the "Exact List of the 1705 Poll (here) At the Chusing [sic] of Knights of the Shire for the County of Middlesex", taken amongst the Freeholder's of St Clement's, Middlesex, was restricted to men of full age (over 21) in possession of a freehold estate worth 40s a year or more. This entry could therefore possibly refer to John's father. The mother's surname on the baptism record is difficult to read. If it is Ruushe, then this is the same surname as the wife of John Gowland, married 1681 - which would be an interesting coincidence. Our Joseph was born, we think, around 1713 or so (his apprenticeship started in 1728), and the omissions in the official record imply clearly that he either had no parents or was illegitimate. About as far-fetched a theory as one could find . . . . ! But such is the paucity of leads to Joseph's forebears around the beginning of the eighteenth century that we are getting desperate. This picture gives a clear view of the extent to which inscriptions of this age have been buried. 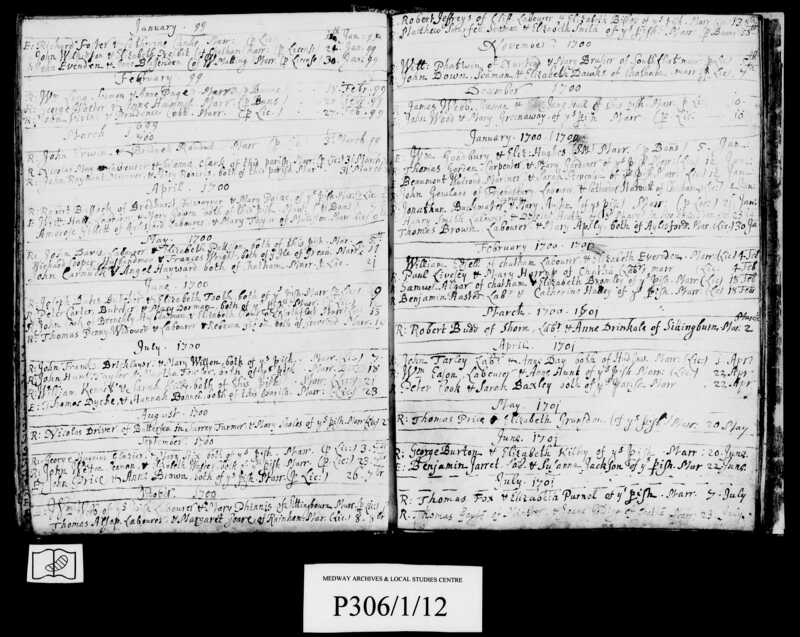 John Gowland was a Grocer; in the Inventory drawn up after his death he had over £100 worth of shop goods in stock (Consistory Court of Rochester Inventory, DRb/Pi24/9) - about £6,000 in today’s money. A John Gowland, (same man ?) 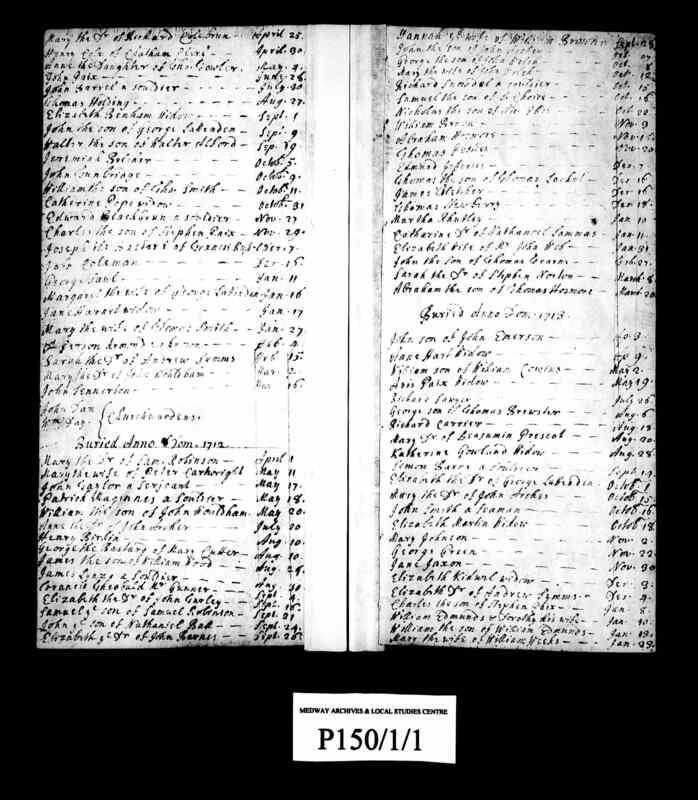 an Exciseman, appears in the Baptism Registers in 1704. 14 1430 John Goland of Sittingbourne, Kent. 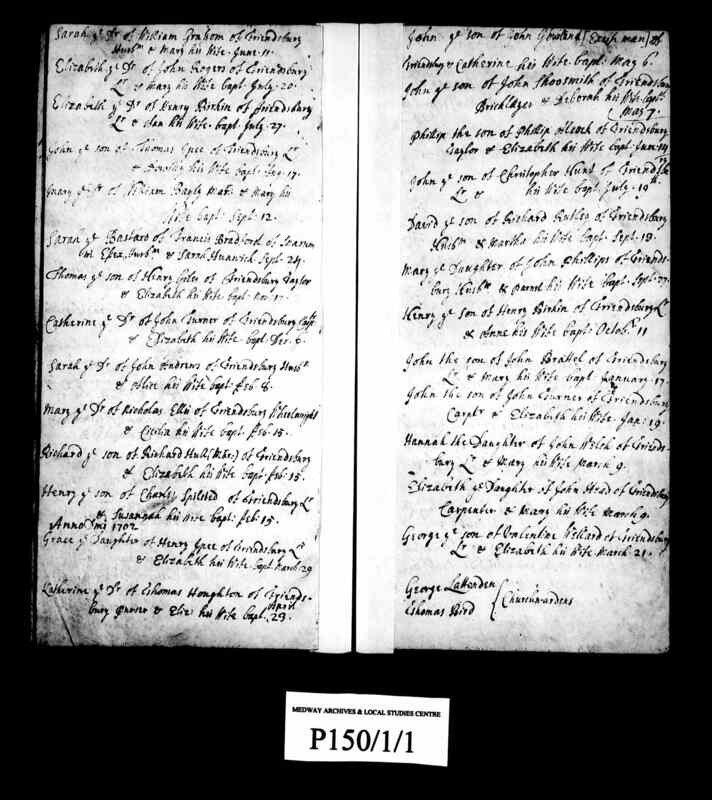 From the Public Record Office, the indexing of the Common Pleas. Ralph Nevyle esquire appeared by his attorney for a fourth day against Thomas Clerke late of Hundburton in the county aforesaid husbondman, William Clerke late of Hundburton in the county aforesaid husbondman, Robert Clerke late of Hundburton in the county aforesaid husbondman, Thomas Clerke late of Hundburton in the county aforesaid, junior, husbondman, John Horne late of Hundburton in the county aforesaid husbondman, John Goweland late of Hundburton in the county aforesaid husbondman, John Marnduke late of Hundburton in the county aforesaid husbondman, William Golland late of Hundburton in the county aforesaid husbondman, Richard Raulynson late of Hundburton in the county aforesaid husbondman, Edmund Marnduke late of Hundburton in the county aforesaid husbondman, Robert Marnduke late of Hundburton in the county aforesaid husbondman, Thomas Ploweman late of Hundburton in the county aforesaid husbondman and William Grymston late of Hundburton in the county aforesaid husbondman, in a plea wherefore by force of arms they broke into a close of the said Ralph at Thorntonbryg, and cut down and carried off his underwood there lately growing, to the value of £10, and depastured, trampled and consumed with avers his grass there lately growing, to the value of £10, and other enormities &c. to grave damage &c. and against the peace &c.; and (the defendants) have not come; and it had been ordered the sheriff to attach them &c.; and the sheriff now reports that they have nothing (in his bailiwick in lands or chattels whereby they might be attached) &c.; therefore let them be taken, to be here on the quindene of Easter &c.
Note - Hundburton no longer exists: the closest present-day location is Burton Fields, in the parish of Catton - see link below. It was a very small location with a tiny population, and therefore it is safe to assume that the two persons above are of the same family, their surnames being subject to the usual variability. From the Public Record Office, the indexing of the Common Pleas, Hilary 34 Henry VIII. Stephen Brynkeley, who brought a writ of the lord king against George Golland late of Newark in the county aforesaid shomaker, in a plea of trespass, has not prosecuted his writ aforesaid; therefore he and his pledges of prosecution in mercy &c.; find out the names of the pledges &c.; and the aforesaid George may go thence sine die &c.
Thomas Fenton appeared for a fourth day against John Holme of Sturton in the county aforesaid bocher, and against Richard Sanke of Sturton in the county aforesaid laborer, and against Edward Golland of Whetley in the county aforesaid taylour, and against William Hydys of Clayrburgh in the county aforesaid parysshclerk, in a plea that each of them render him 40s that they owe him and unjustly detain &c.; and (the defendants) have not come; and it had been ordered the sheriff to summon them &c.; and the sheriff reports that they have nothing (in his bailiwick in lands or chattels whereby they might be attached) &c.; therefore let them be taken, to be here on the quindene of Easter &c.
John Stanhop esquire appeared by his attorney against Isabella Roos late of Laxton in the county aforesaid we...., Richard Roos late of Laxton in the county aforesaid gentylman, John Leverton late of Laxton in the county aforesaid junior husbondman, Robert Goland late of Laxton in the county aforesaid labourer, Roger Heyward late of Laxton in the county aforesaid laborer, Robert Rygdon late of Laxton in the county aforesaid husbondman, Henry Gartsyde late of Laxton in the county aforesaid laborer, Thomas Phelypp late of Laxton in the county aforesaid laborer, John Tode late of Laxton in the county aforesaid laborer, Christopher Doghson late of Laxton in the county aforesaid laborer, William Thorneton late of Laxton in the county aforesaid yoman, Richard Bayldon late of Laxton in the county aforesaid laborer, Richard Legeard late of Laxton in the county aforesaid yoman, Robert Wryght late of Laxton in the county aforesaid carpenter, William Leverton late of Laxton in the county aforesaid husbondman, John Samon late of Laxton in the county aforesaid husbondman and Robert Warde late of Laxton in the county aforesaid we....., in a plea wherefore when the said John Stanhop caused certain avers doing him damage at Laxton, to be taken by John Hill his servant, and the same John Hill wanted to detain those avers there according to the law and custom of the realm of England, the aforesaid Isabella, Richard, John Leverton, Robert, Roger, Robert, Henry, Thomas, John Tode, Christopher, William, Richard, Richard, Robert, William, John Samon and Robert by force of arms rescued the avers aforesaid, and other enormities &c. to grave damage &c. and against the peace &c.; and (the defendants) have not come; and it had been ordered the sheriff to attach them &c.; and the sheriff now reports that the aforesaid Isabella and Richard Roos are attached by John Hay and Richard May; therefore they in mercy &c.; and they are distrained, to be here on the quindene of Easter &c.; and, as for the aforesaid John Leverton, Robert, Roger, Robert, Henry, Thomas, John Tode, Christopher, William, Richard, Richard, Robert, William, John Samon and Robert, the sheriff now reports that they have nothing (in his bailiwick in lands or chattels whereby they might be attached) &c.; therefore let them be taken, to be here at the term aforesaid &c.
The transcription below is in Ancestry - note that No 14 above was also located in Faversham (which is on the northern side of Kent, whereas Dover and Deal are on the southern side and Canterbury is towards the east. "Godlie" used as a first name is very unusual (it means "godly", of course). "Heinger" is a very uncommon name. Now mainly found in the USA, centuries ago it seems to have originated in Switzerland or Germany. 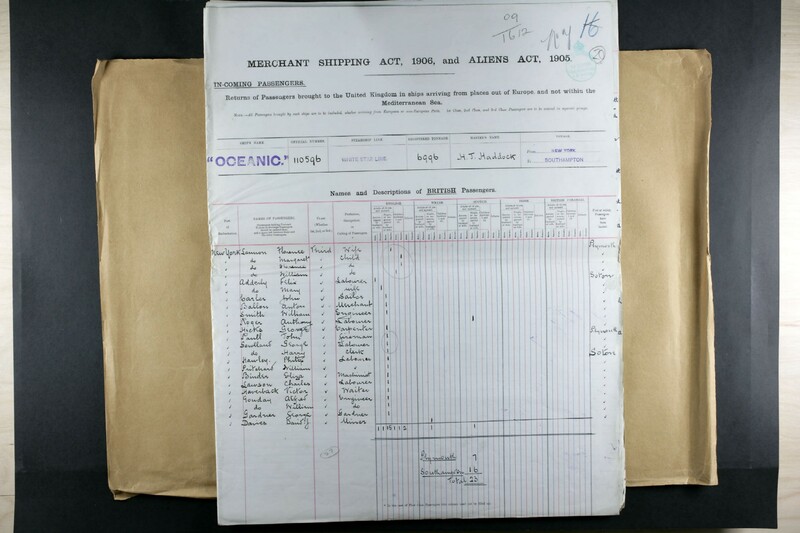 If it is possible to view the original record, more details may become evident. Details are emerging of a Mary Gowland born in "Kent" (no more specific location shown) in about 1700. She was buried in Chilham (Kent) on 8th March 1726. Chilham lies about eight miles from Canterbury and less than twenty miles from Dover. Nary married in Chilham on 14th May 1717, to Andrew Clifford (1698 - 1754). They had two children, Andrew (1720 - 1784) and John (1721 - 1760). The latter married Martha Girton (1726 - 1770). At present (August 2017) no more is known of this person.